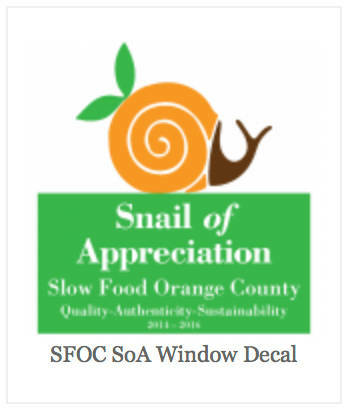 The Snail of Appreciation award recognizes Boldo’s unwavering commitment to serve delicious, artisanal food that is fresh and healthy, and is produced using ingredients that they have verified to be organic, sustainably and humanely raised, and ‘very’ local. 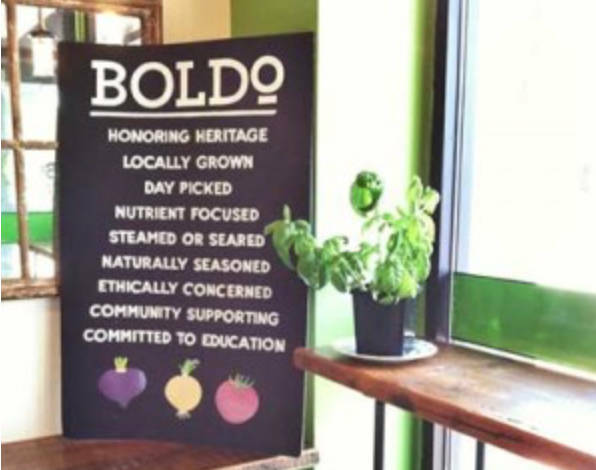 Boldo will be using Slow Food Ark of Taste ingredients. 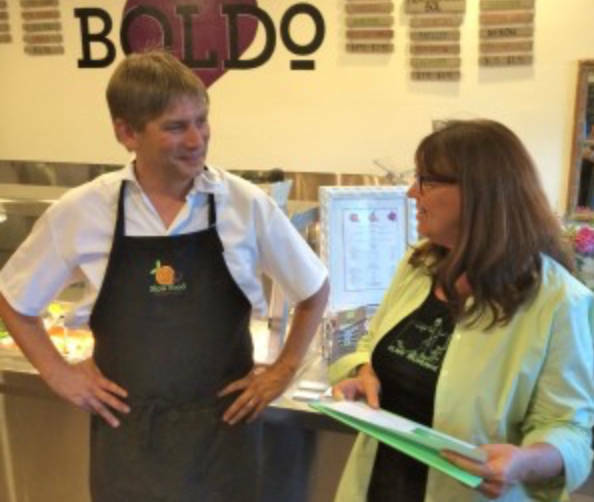 Boldo is committed to work with and support local non-profits and the Santa Ana community.